Philadelphia, Bucks and Montgomery Counties Real Estate. Tips for home buyers, home sellers by Gita Bantwal,Realtor at Re/Max Centre Realtors. : Valentines contest. I helped a woman in need find a condo without expecting a fee. Valentines contest. I helped a woman in need find a condo without expecting a fee. This is post 3f or the active rain challenge this month about transactions that we loved. I received a call from a woman many years ago. She had three kids and lived in a nice single house with her husband. Unfortunately they decided to separate and the girls would be living with her. She wanted to be close enough to her husband so that the kids could visit her ot her husband depending on the schedules. The woman wanted to find a rental in the same school district.It was not easy to find rentals. There was a condo community close by but there were no rentals in the mls. I knew of an investor who owned a few units there and he never listed them. He used to rent them out him self. I looked up his number and called him. He said he does not give commission but a unit had just become available. I called the woman and told her about it. She went there and looked at it and rented it . I did not expect any commission . It was just a good feeling that I could help someone in need. 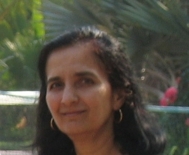 Pro bono is part of our business and living life helping others Gita Bantwal ! Good for you! Good morning, Gita... I know without a doubt that karma repaid you for this good deed many times over! Good morning Gita. Many times I have assisted without compensation. It just made me feel good. Enjoy your day! Good for you Gita. I hope that that woman and her children appreciated your efforts. Gita, you always have a good heart, and would assume this woman is so happy you could assist her. It's not only about the $$$ Gita. You did good and I'm sure this woman appreciated your kind gesture! Gabe, yes they appreciated it. Joan, thank you. I am glad I could help. Sheila, thank you for the comment. All of us have a good feeling after helping others. Gita Bantwal another lovely story and I know that she appreciated your kindness! That is a lovely story, and so nice that you reached out to help someone in need. Hi Gita, That is a nice story and one that still warms your heart. Thank you for telling us. Great story and I am sure your entry will do well in the contest!